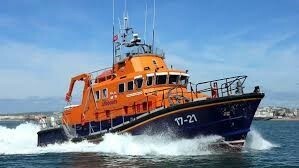 We all know the RNLI (some of us, more so than we’d like to admit,) but do you know what goes on behind the scenes? Working alongside the Coastguard and other organisations to educate, influence, supervise and rescue those at risk of drowning; relying on volunteers and supporters to run the lifesaving services – ordinary people doing extraordinary things. And what’s new? Having pioneered developments in lifesaving at sea since 1824, RNLI now is finding new ways to save lives through innovation, data analysis, and new technology.